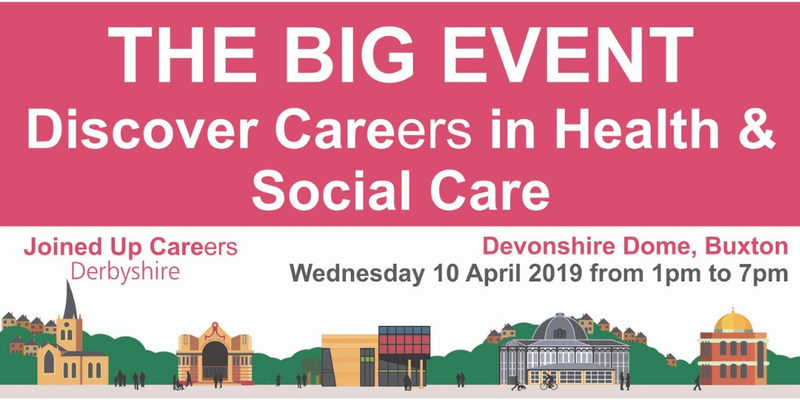 The Big Event – Discover Careers in Health & Social Care is an event being held for people in Derbyshire and the surrounding areas who are looking to find out more about careers in health and social care. 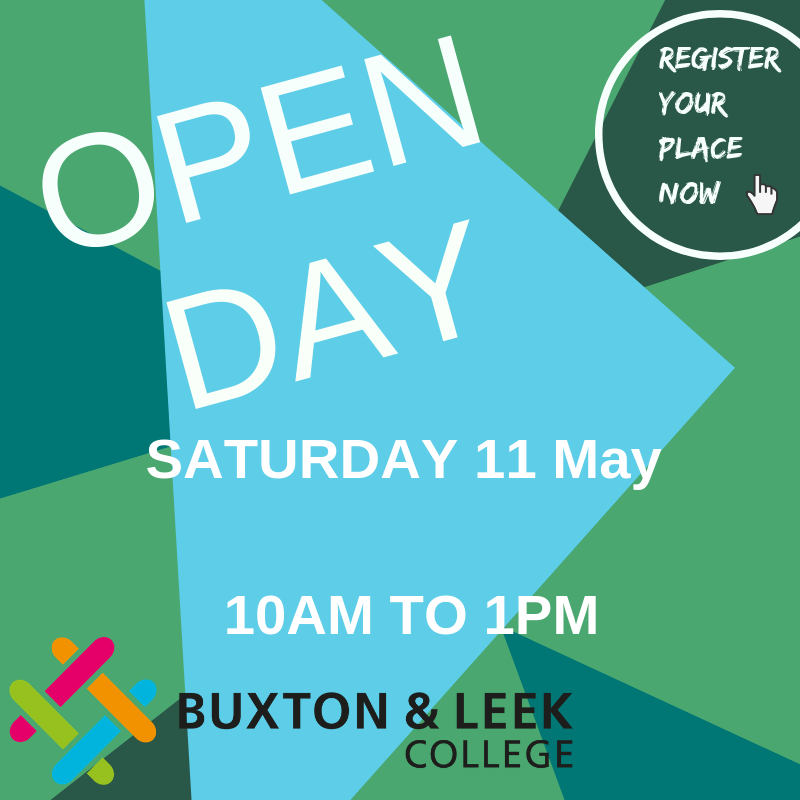 The event is supported by Buxton & Leek College and Joined up Careers Derbyshire, bringing together health and care organisations to support and develop the current and future health and care workforce. Attendees will have the opportunity to meet with a range of employers in the sector and find out more about career opportunities from NHS and Local Authority employers. 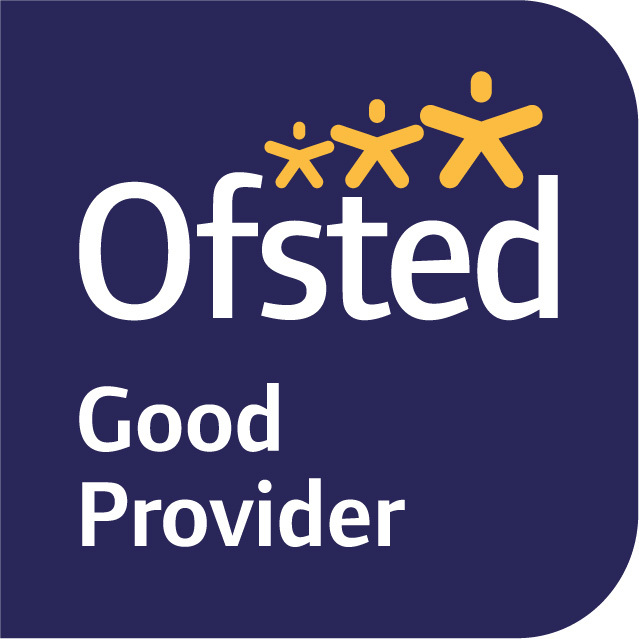 Careers representatives from Department for Work and Pensions, Buxton & Leek College and the University of Derby will also be available to discuss education and training opportunities. Free workshops will also be taking place throughout the day on a range of different topics including employability, careers in health and social care, opportunities as a paramedic and social care career pathways. People who would like to take part in these workshops can just turn up on the day. The event is taking place on 10th April 2019 from 1pm-7pm at the Devonshire Dome in Buxton, attendees can come along at any time during the day. Workshops are free and there’s no need to book on to these sessions. Tickets can be booked on Eventbrite: https://www.eventbrite.com/e/the-big-event-discover-careers-in-health-social-care-tickets-55958517432 or attendees are welcome to turn up at any time during the event. Employers who are interested in exhibiting at the event should contact Abigail Ingram at Derbyshire County Council on abigail.ingram@derbyshire.gov.uk or 01629 532415 to book their free stand. 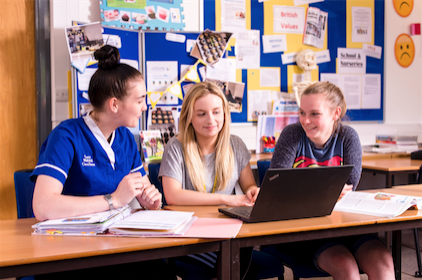 Buxton & Leek College offer a range of courses in Health & Social Care including apprenticeships, courses for school leavers, access courses and short courses for employers with progression routes into degree courses at the University of Derby. 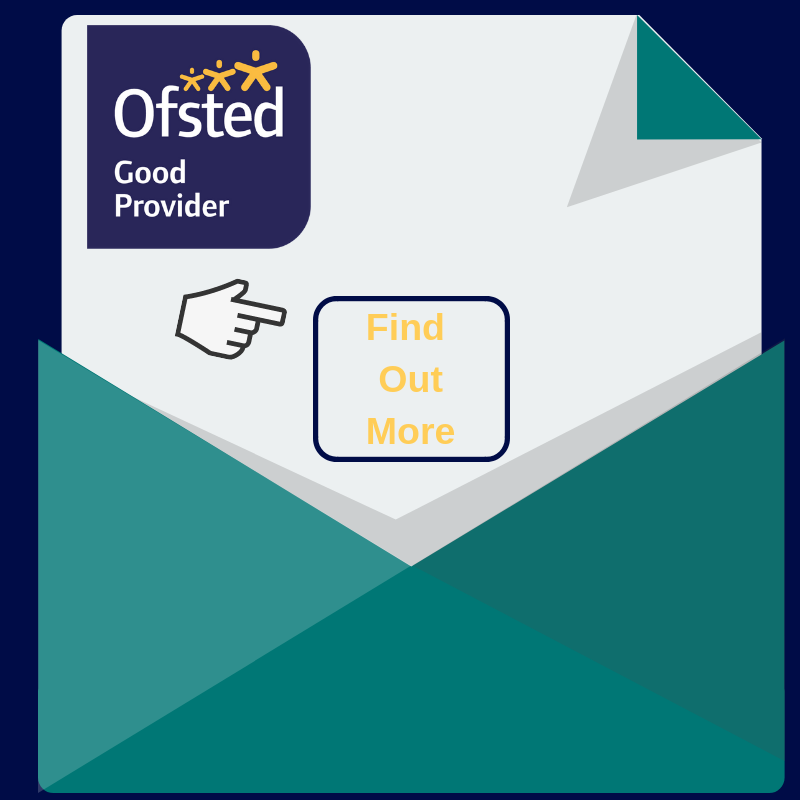 To find out more visit here or call 0800 074 0099.